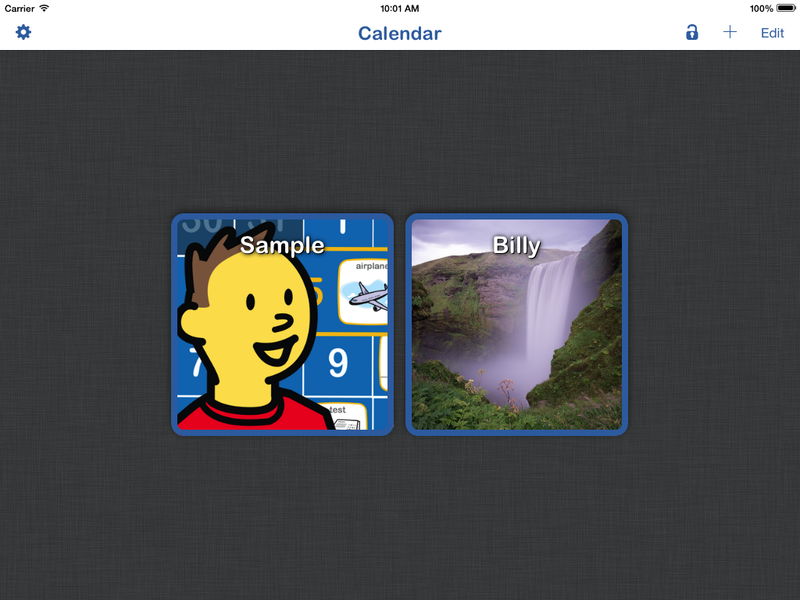 On older devices, having lots of events or custom images in a single calendar may cause the app to perform slowly. Using multiple calendars to reduce the number of events in the calendar can improve the performance in this circumstance. Tap on the Add Calendar icon (+) near the top right corner of the app's main screen. Name to uniquely identify the calendar (required). A photo to personalize the calendar (optional). You can use your camear to take a photo or choose one from your photo library. 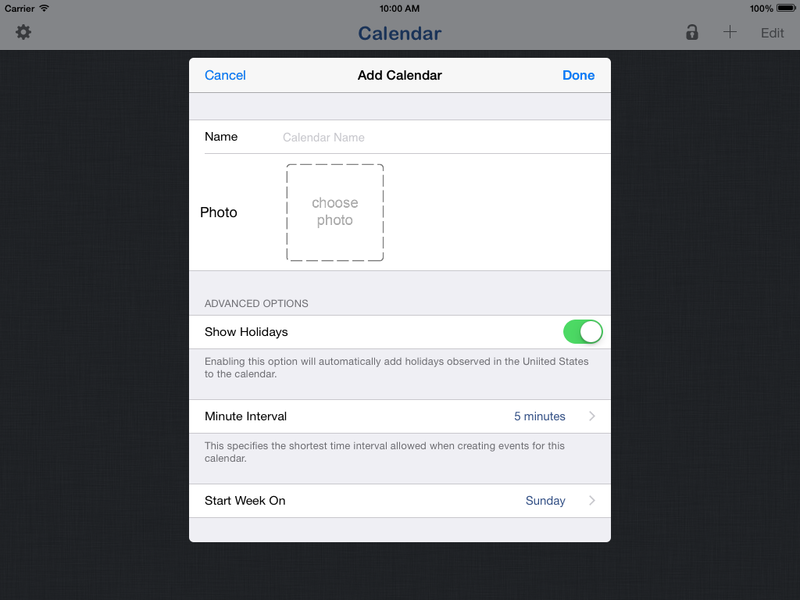 Enable/disable U.S. holidays (default is enable). Minimum interval for time in events (default is 5 minutes). Increase or decrease this if you need more or less precision. Start day of each week (default Sunday). 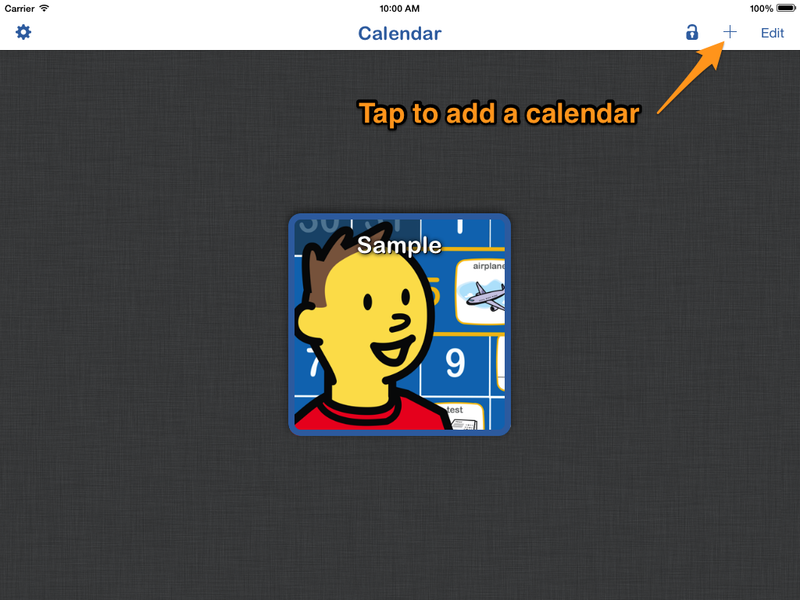 Tap done and the newly created calendar will appear on the app's main screen.